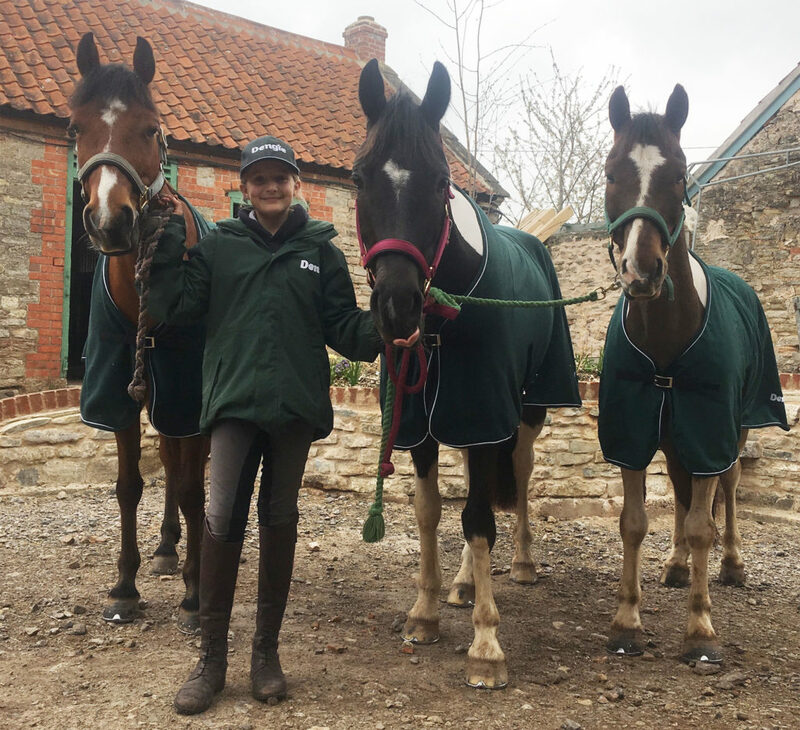 A nutritionally balanced, low-calorie, high-fibre feed for leisure horses and ponies, combining essential nutrients for healthy hooves with a light molasses coating. Several studies have been conducted into how much biotin a horse requires. 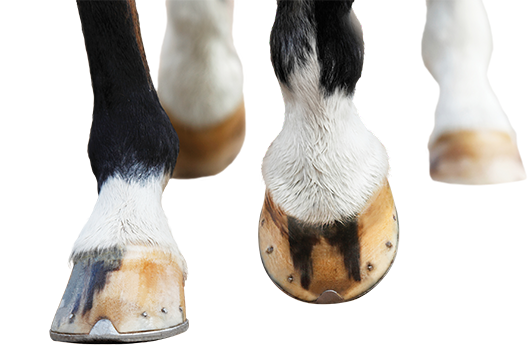 A study published in the Equine Vet Journal (1992), found that greater growth rates and hardness of hooves was achieved at a daily feeding rate of 15mg of biotin than at 7.5mg in horses diets. 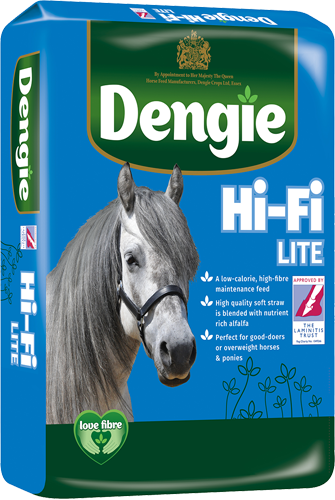 The level of biotin included in Dengie Healthy Hooves has been formulated accordingly and thus when fed at the recommended rates will provide a 500kg horse with 15mg of biotin per day. B vitamins have a wide range of functions within the horse’s digestive system including energy metabolism and growth and development. 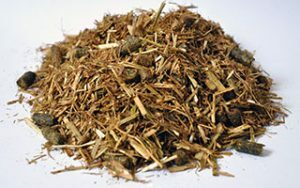 Healthy Hooves was the first chopped fibre feed on the market with a full range of all these important nutrients. 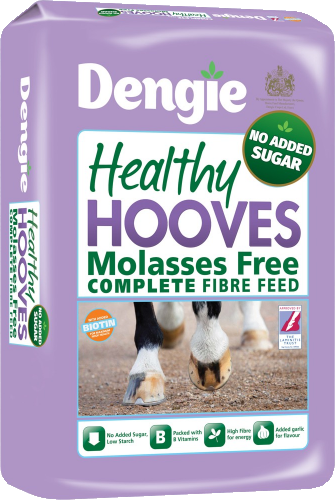 Healthy Hooves is designed to be fed as the sole bucket feed alongside your horse’s normal hay/haylage ration. 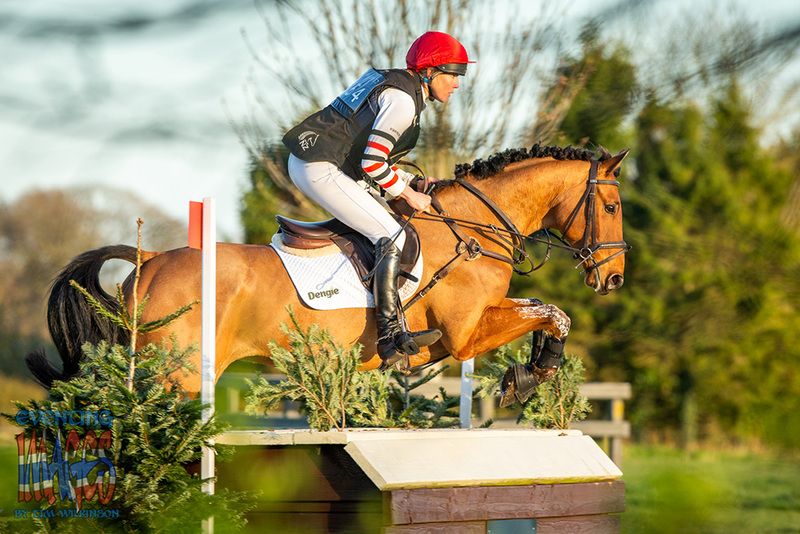 It is important that it is fed at the recommended quantities in order to provide the levels of nutrients your horse or pony requires; feeding less may affect condition and performance. If using less than recommended quantities, a broad spectrum vitamin and mineral supplement should be used alongside. Healthy Hooves is intended for horses and ponies at rest or in light work if fed as the sole bucket feed. For horses and ponies in moderate to hard work or requiring weight gain, Dengie Alfa-Beet can be fed alongside Healthy Hooves. 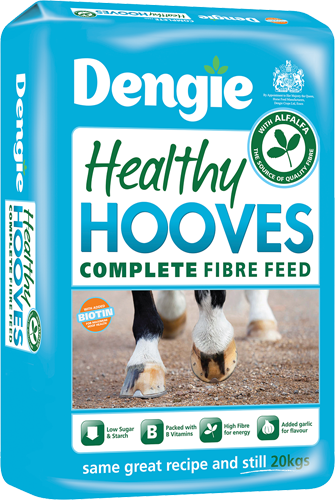 Feed 500g of Healthy Hooves per 100kg of your horse's bodyweight. Fibre weighs very little compared to mixes or cubes. It is important to weigh your scoop to ensure that you are feeding the correct amount. A large Stubbs scoop holds approxiamtely 500grams. “Bracken is a 13hh Exmoor X who is in his late 20’s and retired (he does go on the odd hack occasionally though!). Not only is he getting on, but he has previously suffered from laminitis and was diagnosed with Cushings Disease two years ago. 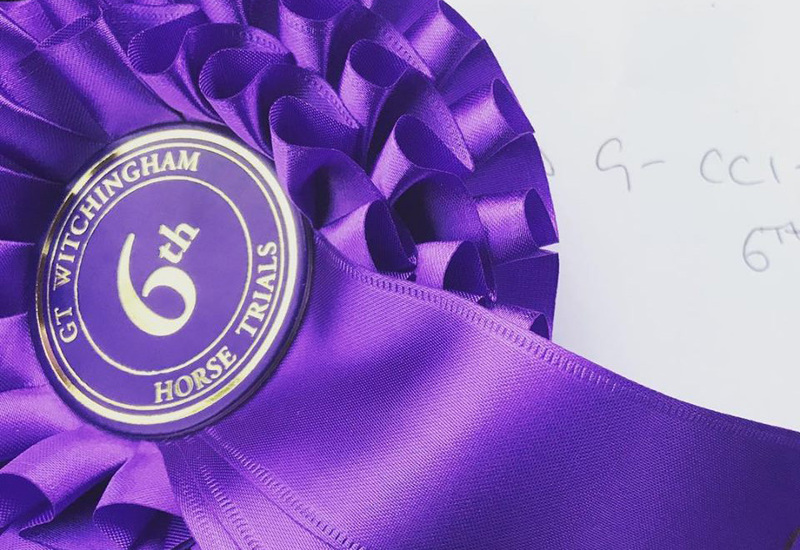 A high-fibre maintenance feed for leisure horses and ponies with added vitamins and minerals.